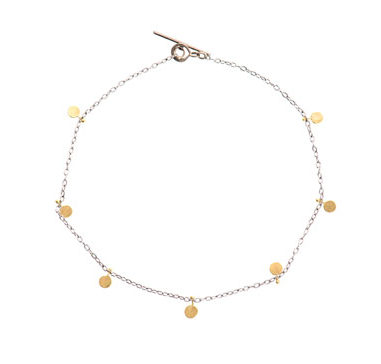 I’ve been hooked on delicate jewellery for a while now, I think it’s beacause it is so suitable not only for a day-look but also for a more elegant evening style. 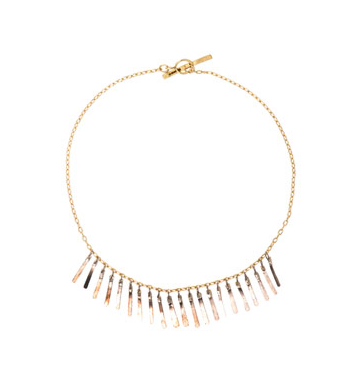 I love thin jewellery – necklaces, bracelets and rings. Here above you see some of my favourites for the moment, from Sia Taylor. 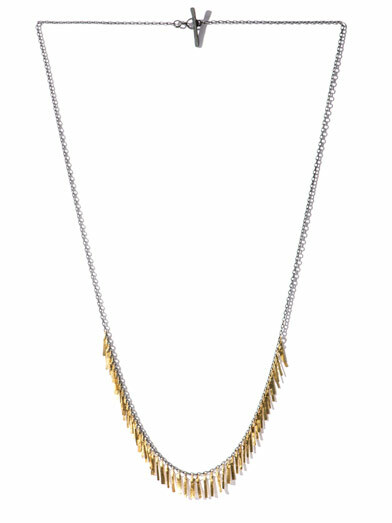 At the top: silver and gold ‘Fringe’ necklace. 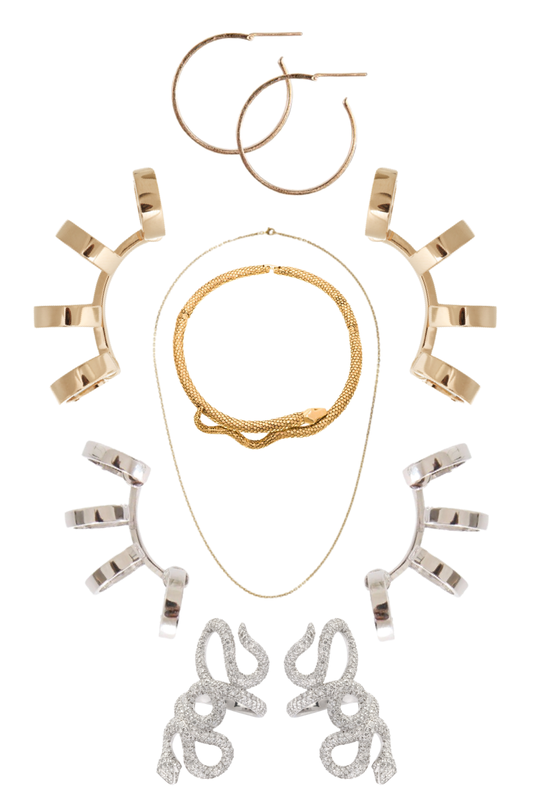 Underneath: Sia Taylor ‘Big Dot’ bracelet and the ‘Fringe’ bracelet in white and yellow gold. 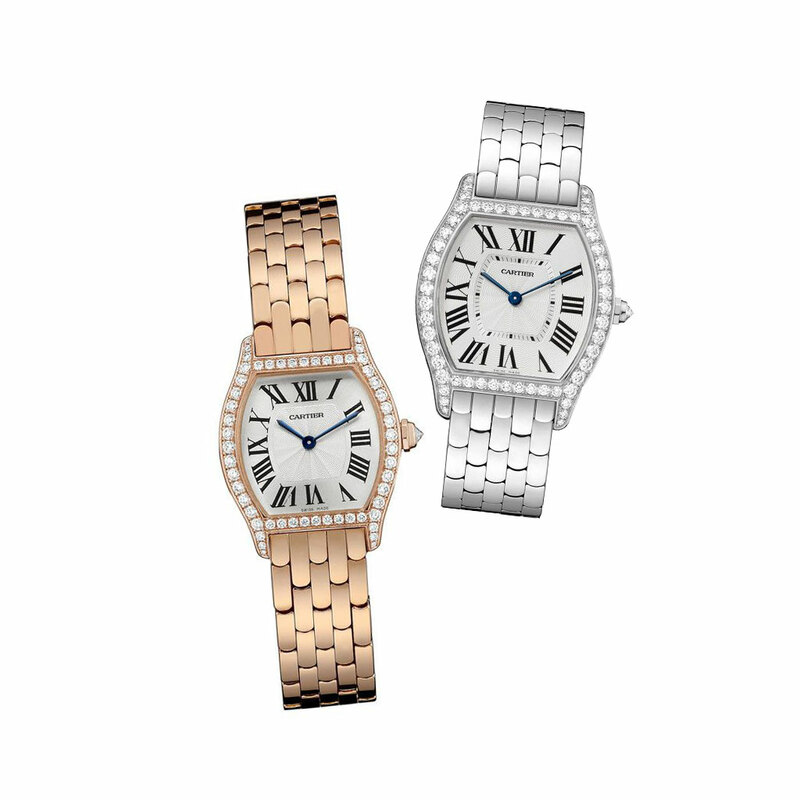 I wouldn’t say no to the new re-designed Tortue piece from Cartier, neither in rosé gold nor in warm grey silver. The watch has been a piece in their selection since 1912 (!) and now its updated with a diamond embellished face and more slim bracelet.